Tic-tac-toe is another timeless game we’ve all play one time or another. This classic game can also help a child automatically recognize sight words. This game can be used to introduce new sight words or to review previously learned ones. 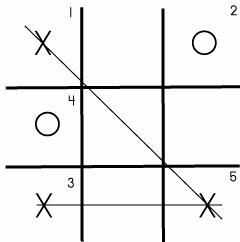 Similar to hangman, tic-tac-toe is very affordable and can be quickly created within seconds using a piece of paper and pen. You could also use our templates below. Using Dolch’s pre-primer sight words, we created tic-tac-toe games. Prior to playing tic-tac-toe, review each sight word. The game is played just like tic-tac-toe but a child must say the sight word prior to selecting a box. The youngest player goes first and selects a box using either an “x” or “o” – cross out or circle the sight word. Alternate selecting boxes until a player gets three in a row (wins the game) or the grid is completely filled in but no one won the game. This is commonly referred to as a cat’s game. When I am the first player, if possible I select a corner on my first, second & third turn to force a win. Obtaining three out of the four corners allows me to win two different ways. When I am the second player, I always select the middle to prevent my opponent from using my strategy against me. Unfortunately, tic-tac-toe can be played by only two players. We created an alternative game that can be played with 3 or more players. Tic-tac-toe meets bingo. Select at least 8 sight words. Each player fills in the tic-tac-toe grid, putting a sight word in each “box.” If you have 8 sight words, use the middle square for a free space or use two words twice. 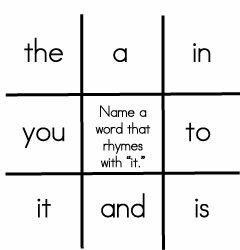 If you have more than nine sight words, each player needs to select either 8 or 9 words and write them on her tic-tac-toe grid – make sure there is only one word per “box.” Once each player has completed their grid, a parent or teacher calls out the sight words either randomly from a list or out of a hat or similar object. Each player crosses out (x) or circles (o) the word. The first player to get three in a row wins the game. Using Dolch’s pre-primer sight words, we created five tic-tac-toe template games noted below. Playing sight word games, like tic-tac-toe assists a child in developing a sight word vocabulary in a fun and entertaining environment. I love these and can’t wait to use them with my Kindegartener! Thanks for making them available. Do you have blank templates so that you can add your own sight words. I teach first grade and we are required to teach the Dolch word list. I would like to make games for each word list.